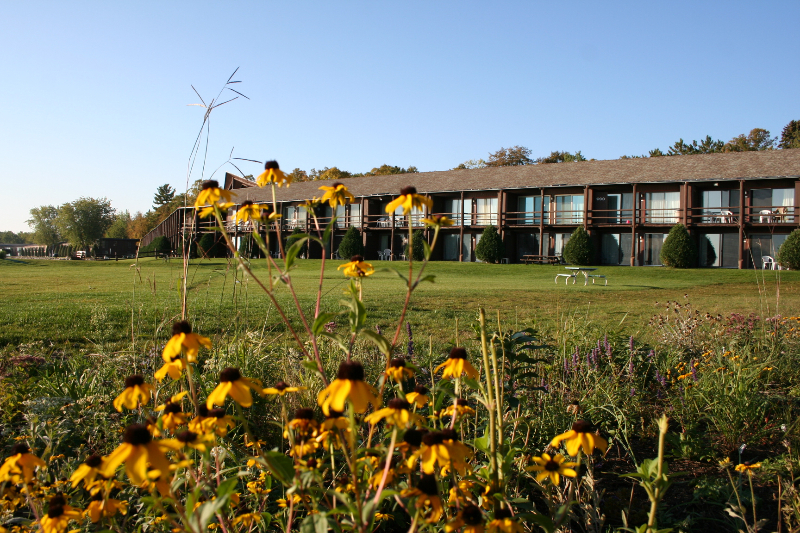 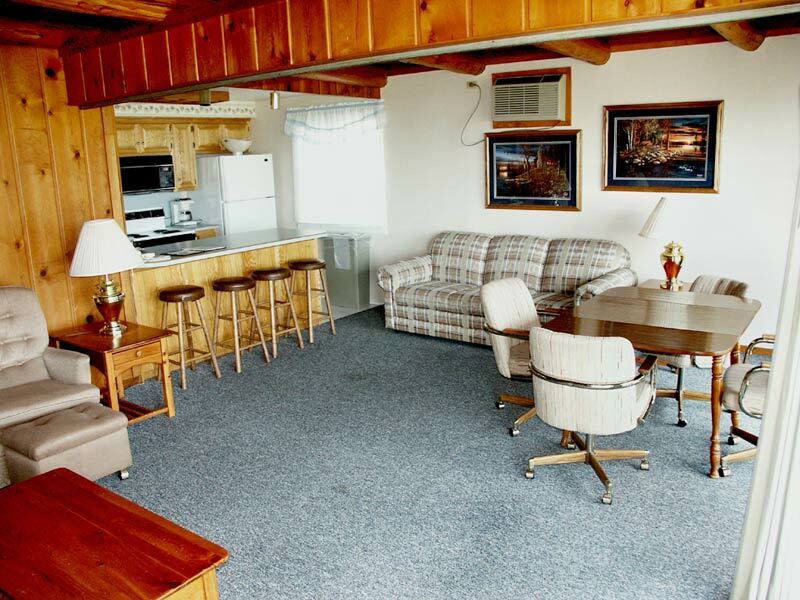 Decorated in knotty pine & brick, our Resort Lodge units best capture the spirit and flavor of the northwoods. 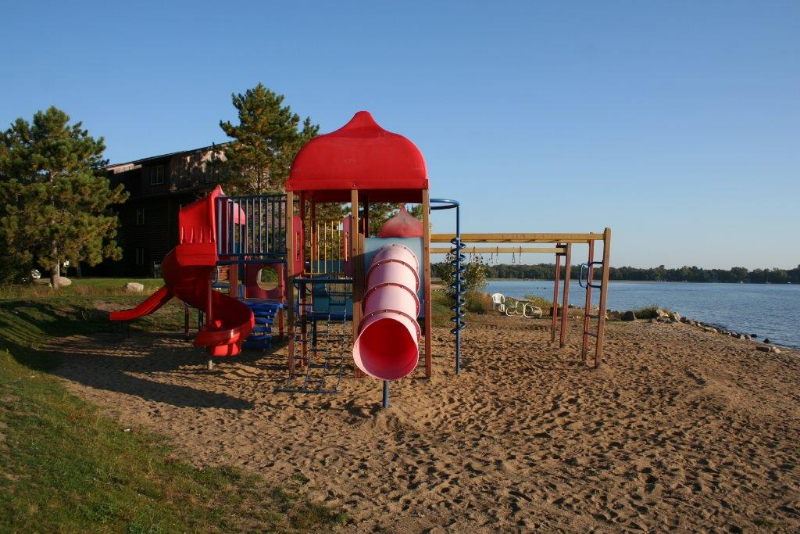 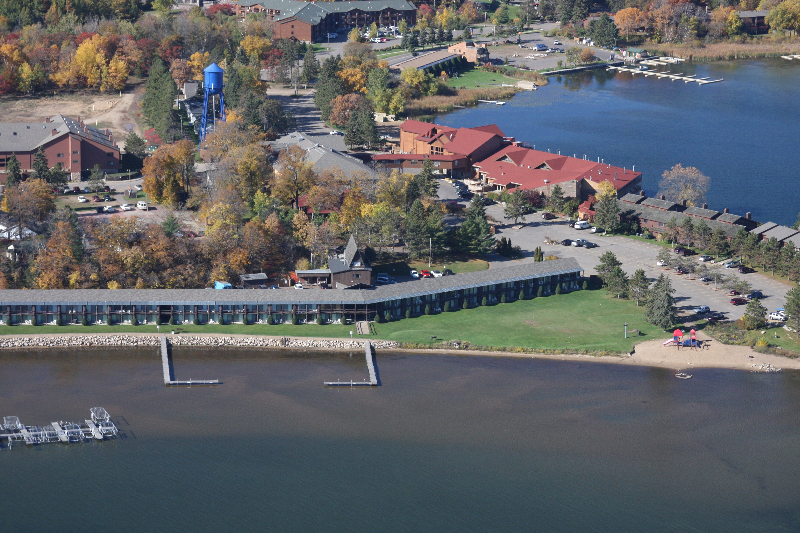 Each unit offers a spectacular, wall-length panorama of Big Pelican Lake as well as a warm, inviting interior. 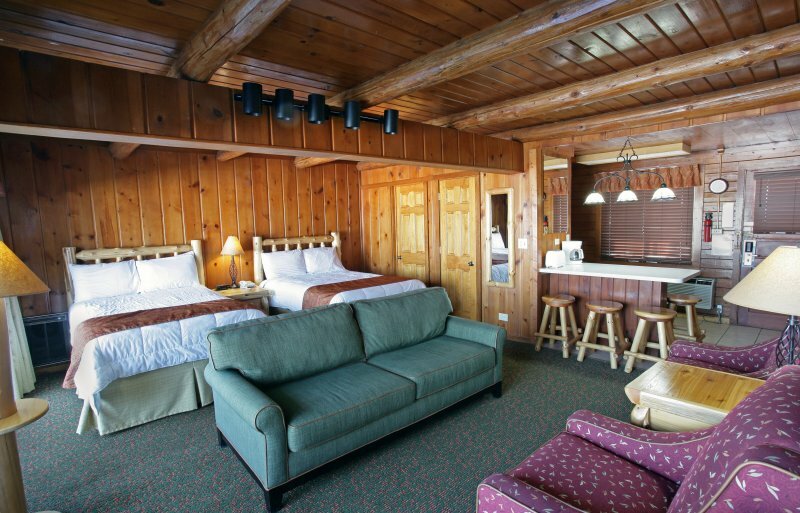 One unit type features a queen bed and two hide-a-beds. 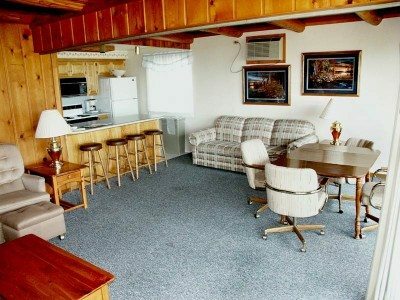 Another unit type has a queen bed and two double beds in a loft. 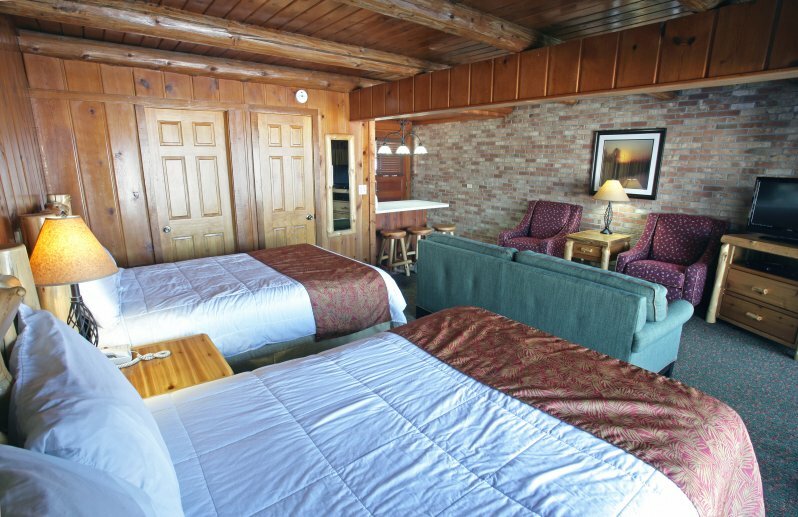 Our third unit type features One bedroom with a queen bed, two twin beds in the loft area and a futon in the living area. 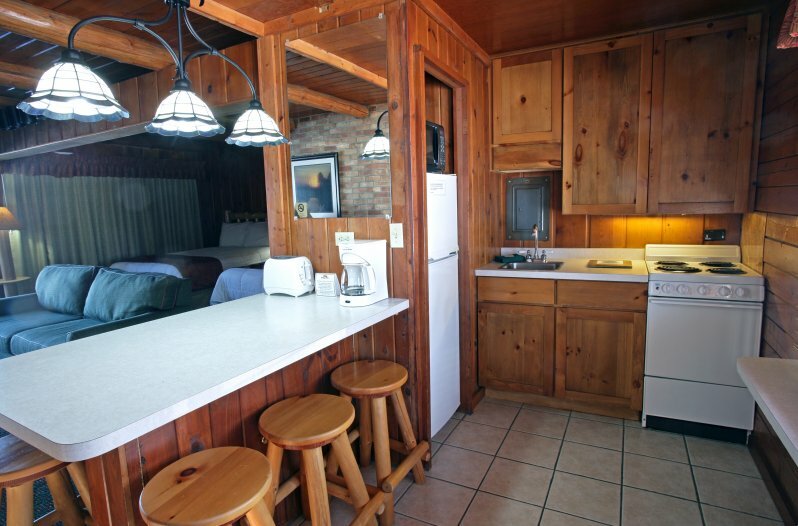 All units include a kitchenette and one bath.